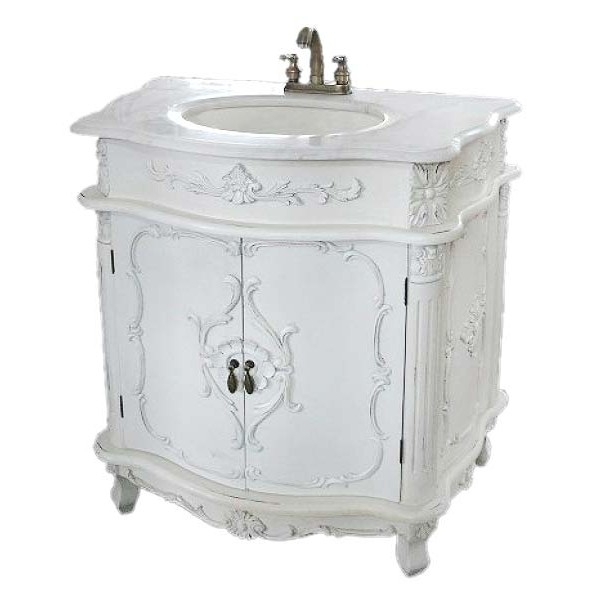 This beautiful antique white sink cabinet is featured as part of our Boudoir Provence range. Finished in a high gloss and with a white marble top with gold taps, this is a real statement piece. The cabinet has two doors which cover sufficient storage space.